Nestled amid lush surroundings, Centara Kata Resort Phuket is a family-friendly resort located 600 metres away from the two kilometres of white sands and clear, shallow waters of Kata Beach. A complimentary scheduled shuttle service will take you to the beach. -Hong Kong: is an autonomous territory, and former British colony, in southeastern China. Its vibrant, densely populated urban centre is a major port and global financial hub with a skyscraper-studded skyline. Central (the business district) features architectural landmarks like I.M. Pei’s Bank of China Tower. Hong Kong is also a major shopping destination, famed for bespoke tailors and Temple Street Night Market. 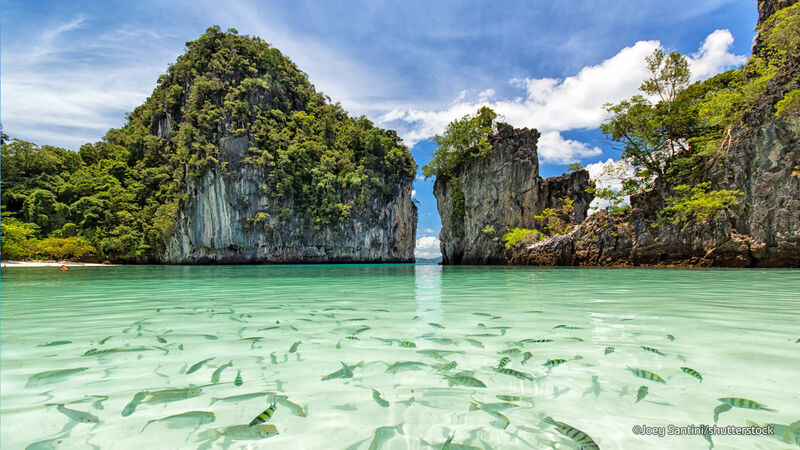 -Phuket: a rainforested, mountainous island in the Andaman Sea, has some of Thailand’s most popular beaches, mostly situated along the clear waters of the western shore. The island is home to many high-end seaside resorts, spas and restaurants. Phuket City, the capital, has old shophouses and busy markets. Patong, the main resort town, has many nightclubs, bars and discos.